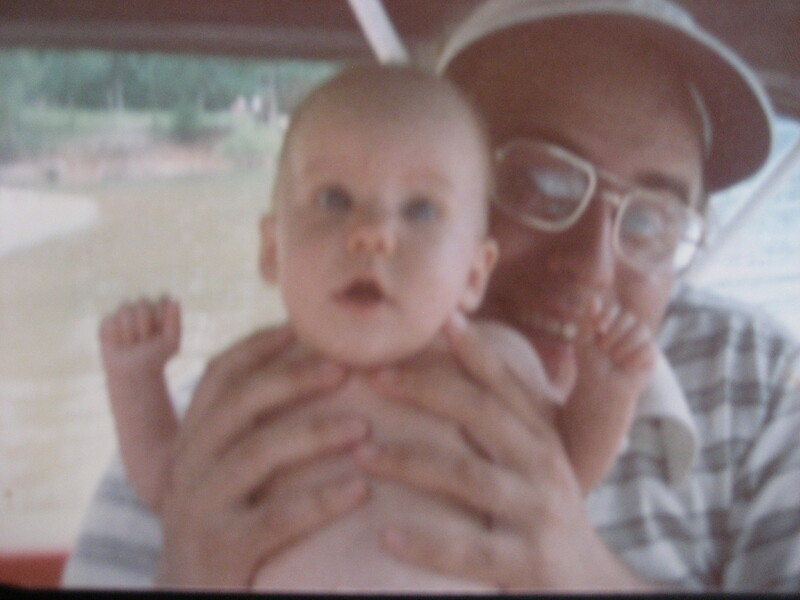 It’s funny how the older you get the more you seem to appreciate your parents, especially when you become a parent. I knew when I was little my dad worked extra hard so that my sister and I could have really cute outfits. He always put us first and made sure that we had a great life. 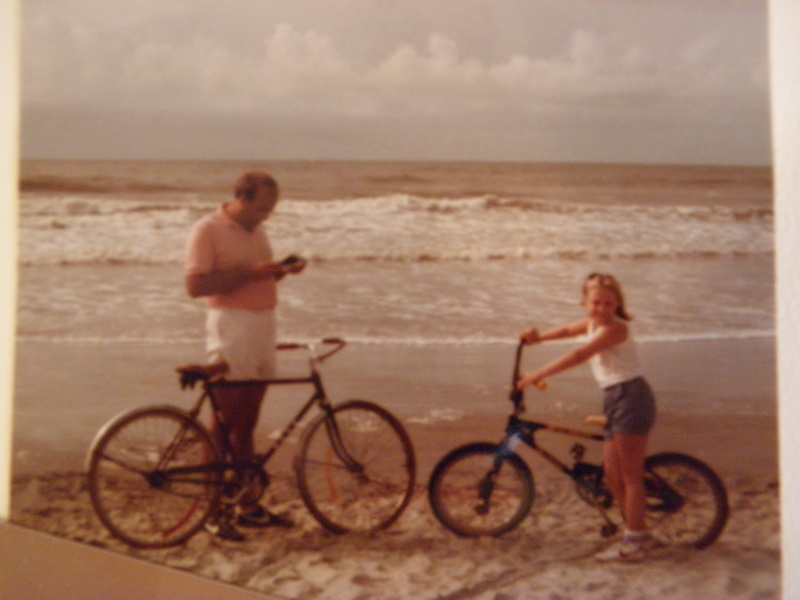 As I got older, I realized that my dad’s actions had spoken louder than words and what those actions taught me was instilled deep in my character. 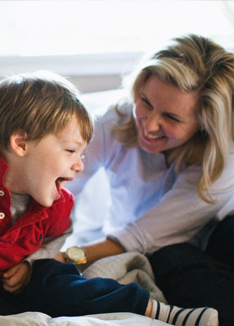 Because of my dad, I have a deep-rooted love of family, the ability to put my son first, a work ethic to be proud of, how to be fair and above all how to set an example for others to follow. For those of you that know me well, you know that we grew up in a Pepsi Cola household. My dad began working for Pepsi in college and still does to this day. At our house on Halloween, instead of candy, we gave out Pepsi. So cheers, to Pepsi and my dad! 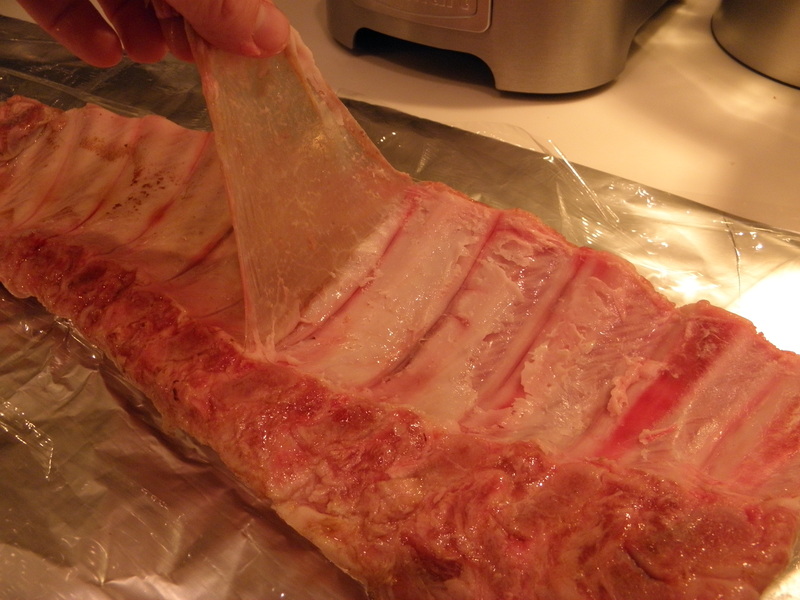 Take ribs out of package, rinse and pat dry. Turn the ribs over so that the meat side is down. Tear off the membrane from the back of the ribs. Place ribs, meat side down in a large pan and cover completely with Pepsi. Cover the pan with foil and place in the fridge for 12 hours. 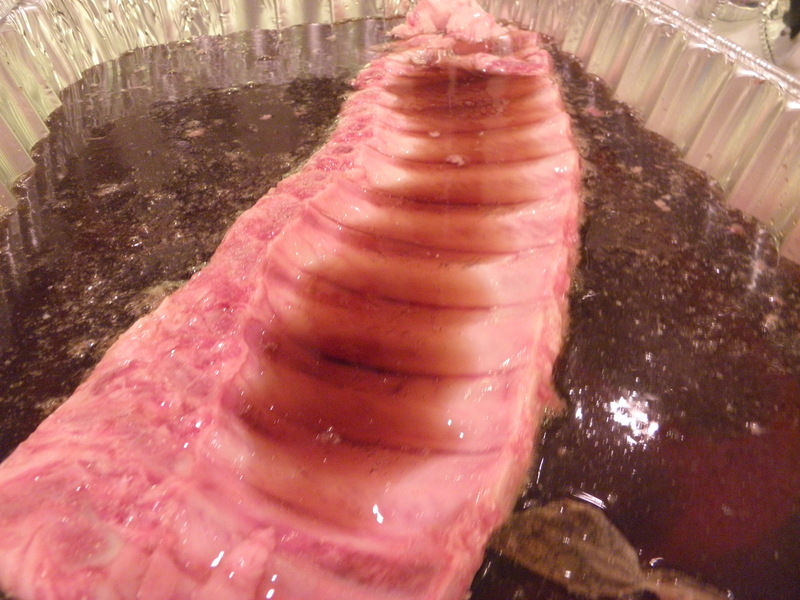 After the ribs have soaked in Pepsi for 12 hours, remove from pan and pat dry with paper towels. 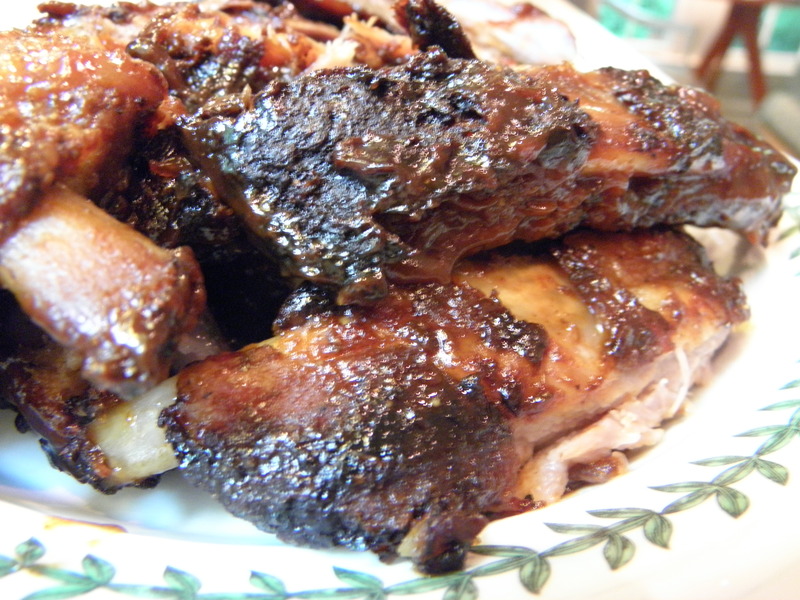 Combine the following ingredients in a small bowl and rub generously on the front and back of the ribs. 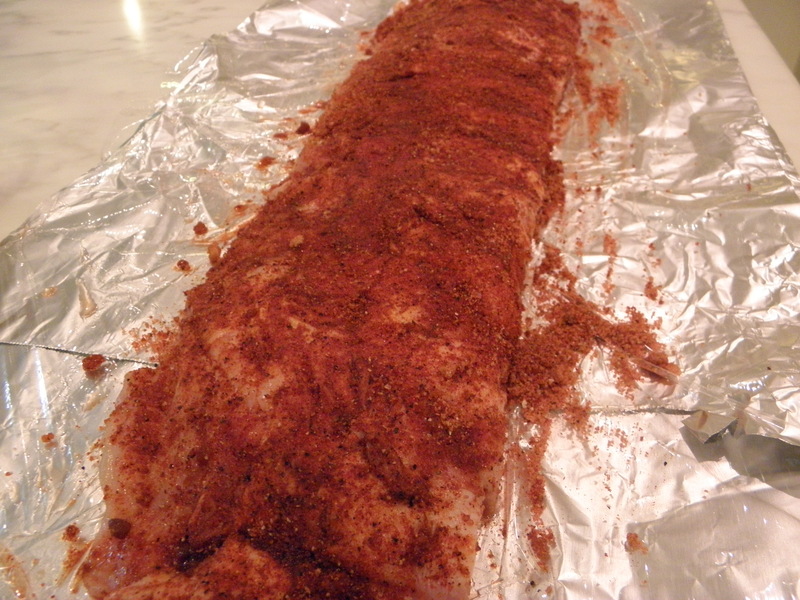 Wrap dry rubbed ribs in aluminum foil and let sit at room temperature for at least 30 minutes. In the meantime, fill a large pan half full with wood chips and cover with water. 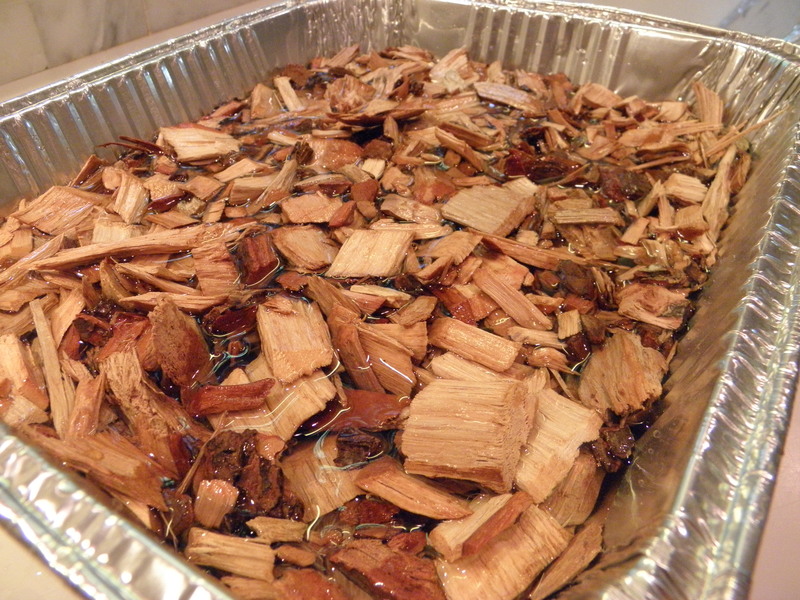 The wood chips will need to soak for 30 minutes. After the wood chips have soaked, pour off about half of the water and fill another pan with about 2 inches of water. You will place these on the grill and bring the temperature to 225 degrees. Once the grill temperature is at a steady 225 degrees. Place the ribs on the top rack of the grill. 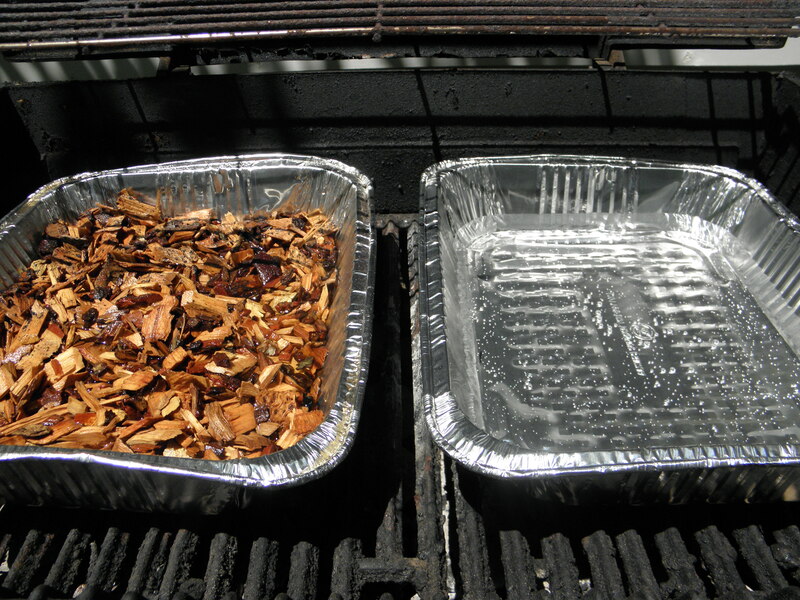 The pan of wood chips and water should be directly over the heat of the grill and the ribs above so that they are being smoked from the indirect heat. Close the lid and go back every 30 minutes to flip the ribs. I like to brush a bit of water on the ribs each time I go to flip them so they don’t dry out. The ribs should cook in about 2 1/2 hours. You’ll know they’re done when the meat begins to loosen away from the end of the bones. Place Pepsi in a medium saucepan over medium-high heat. Bring to a boil and then reduce to a simmer. 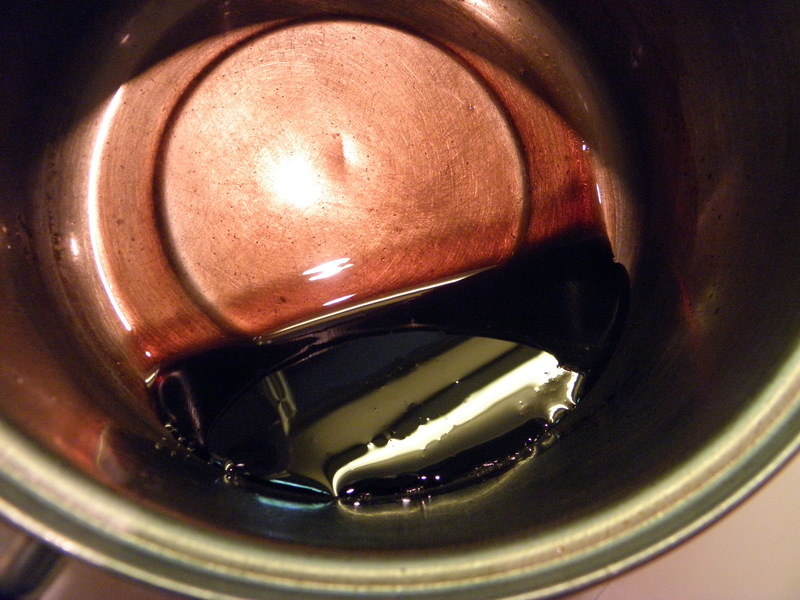 The Pepsi will continue to cook and reduce to a syrup. 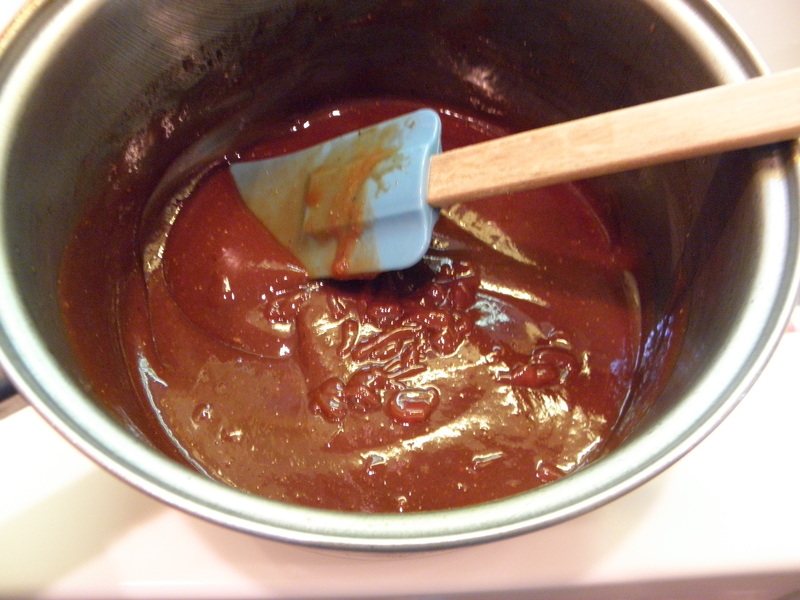 Once the Pepsi reduces to a syrup, add remaining ingredients and reduce heat low and let cook for about 30 more minutes. 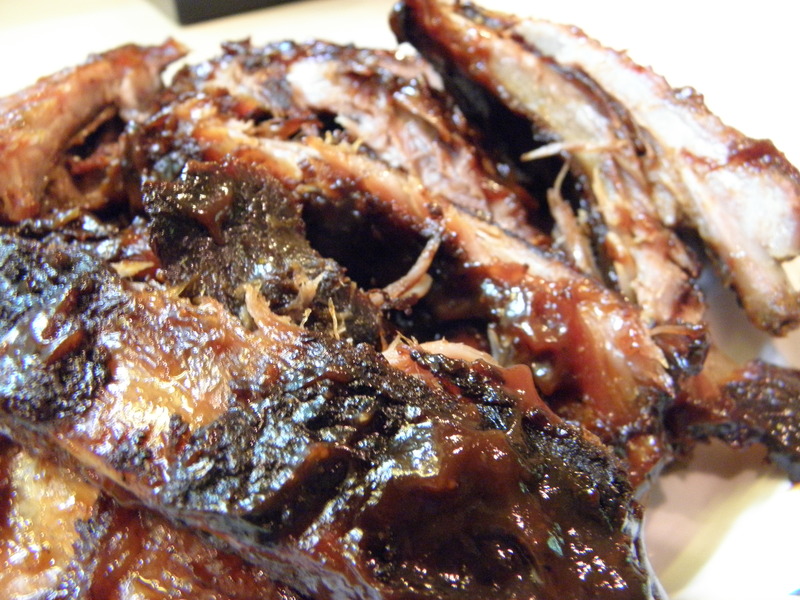 While the barbecue sauce is simmering, grab the ribs from the grill. 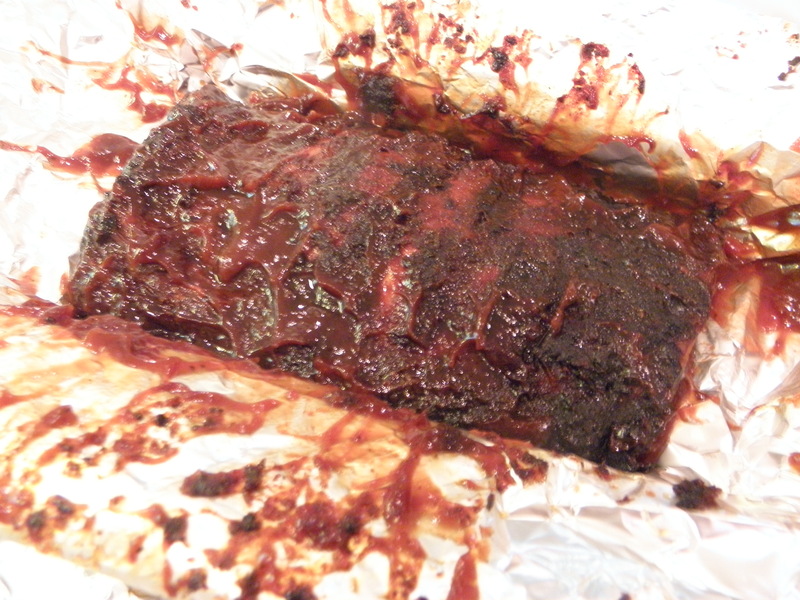 Baste ribs with barbecue sauce and wrap in foil, keeping warm until ready to serve. I promise these ribs are worth the extra effort. They are smoky sweet and won’t last long! 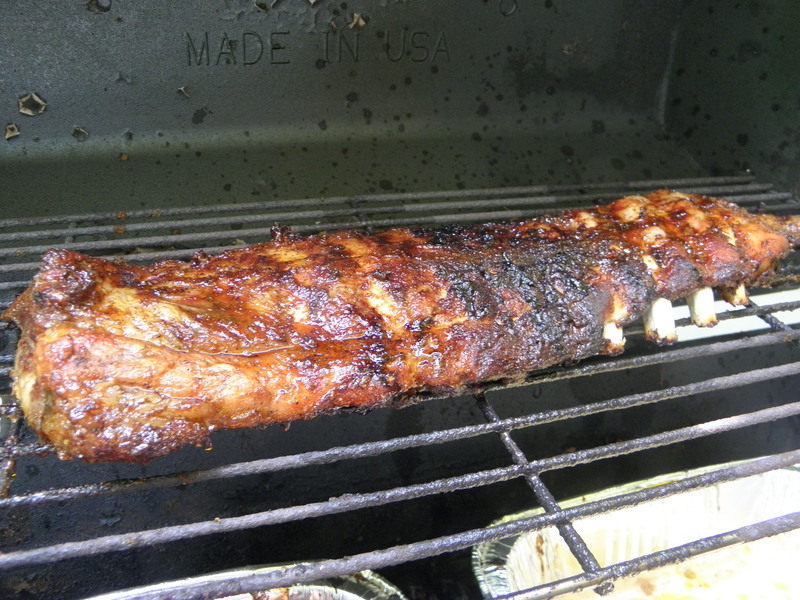 I used Niman Ranch pork baby back ribs – they were excellent. I typically don’t use foods that contain high fructose corn syrup. I use Heinz Simply Ketchup but I did use real Pepsi, which contains corn syrup. 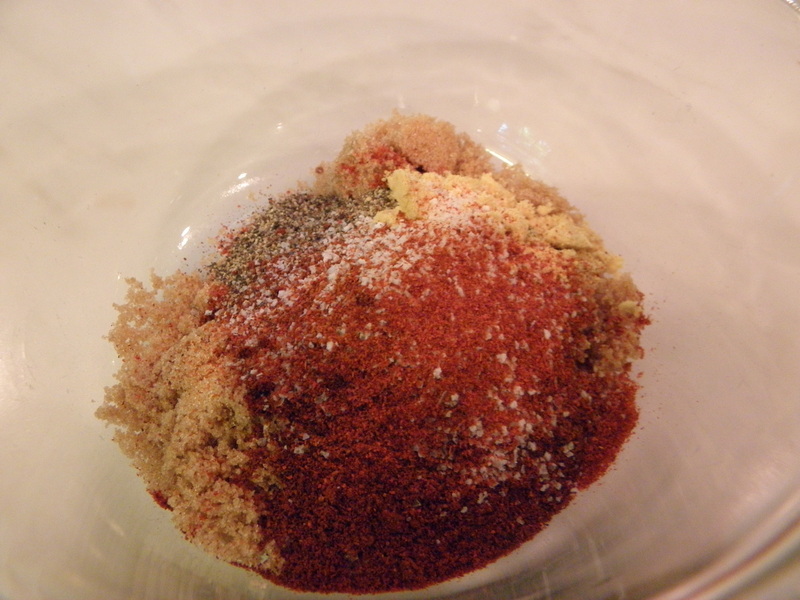 This entry was posted in Main Dish on June 18, 2011 by lolleigh.